This has to be our answer to Monday. Healthy to offset any damage we did over the weekend. Flavorful so that we aren’t so sad to be eating plain chicken breast with steamed veggies. Vegetarian for Monday or any day. Vegan, too. Also. Coconut curry drizzle. Is there anything else to say, really? Besides the fact that I’m catering a big event at city hall tonight and am super nervous and also have spent two days making brownie bites at an incredibly slow pace? You should know that, I think. But this quinoa. 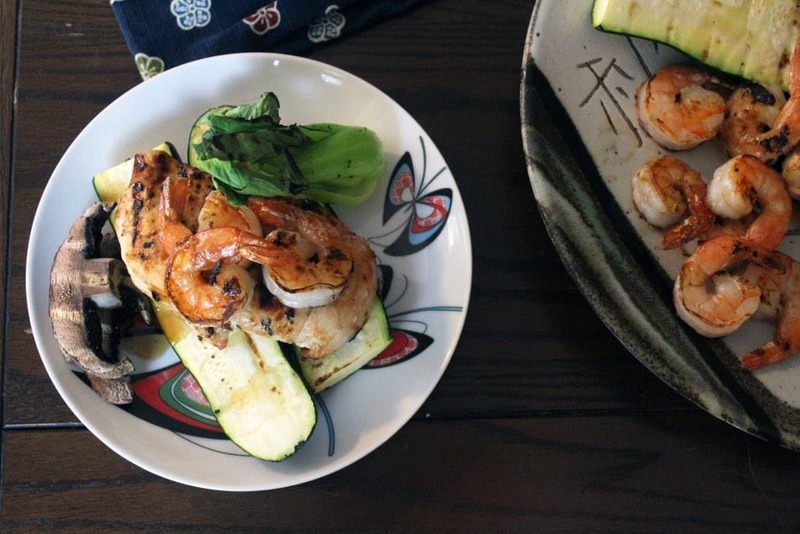 It’s simple, delicious, and healthy. What could possibly be wrong with it? I served this cold as a salad, but the bites I tried right after it was cooked when it was still a little bit warm were great too, so eat this at any temperature that floats your boat! 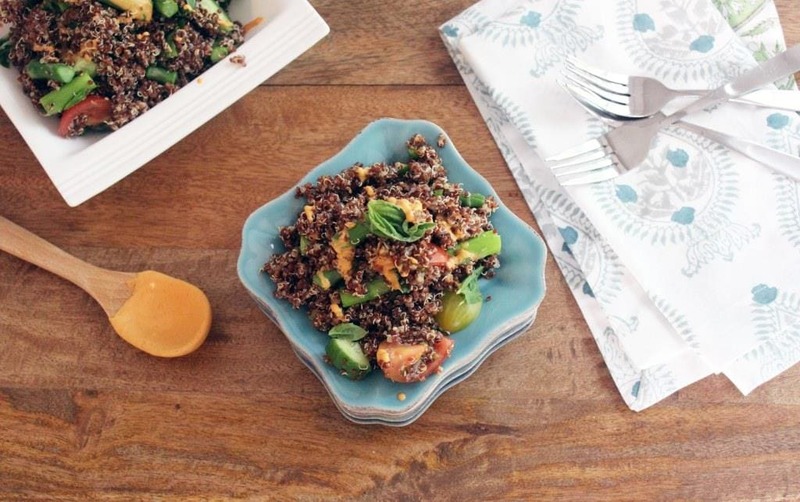 The GREAT thing about this is that you could make the quinoa way ahead of time and keep it in the fridge, then just toss the veggies and seasonings in whenever you feel like eating this for an even faster version. This is like weekend food light. As in…it’s the weekend and it’s warm and grilling is so much fun! but also we don’t want to eat all the foods and feel grody, do we? No. So we make a delicious meal of grilled foods with some fancy dippers that take no time at all, then call it a day. You guys kind of went nuts with these Sloppy Joes I made a few weeks ago, and, that makes me happy. Because I did to so….we’re bff! Thank G.
I’ve made the mixture a few times since I showed you this recipe, and I CAN’T get enough. You can do anything with it! The flavor lends itself to, um, ANYTHING, so I think we should play around with how dang good this stuff is. I love the rich beefy flavor that comes from the oyster sauce and other ingredients, and I tend to go a little nuts with hot sauce so….just YES. Since today is Thursday and Thursday just kind of…needs…ground beef, here are some things you could do with the mixture if you aren’t feeling sloppy joes. This has got to be low carb too, yes? Yes. Let’s just go with it. This is delicious, kids. Yesterday after I introduced the whole vegan-week thing (thanks for the lovely response to that! ), I got to thinking about what I could make vegan. It was HARD. My go-to flavor components are cheese and butter so…YEAH. About that. The more I pondered, the more I realized that a LOT of Asian-style dishes are already vegan, or very close to it. There isn’t a ton of random animal-derived junk to contend with replacing, and minus a few fish-based ingredients which can be eliminated easily, there are TONS of major flavors in Asian-style cooking that are totally plant based. So, that’s what’s up first. 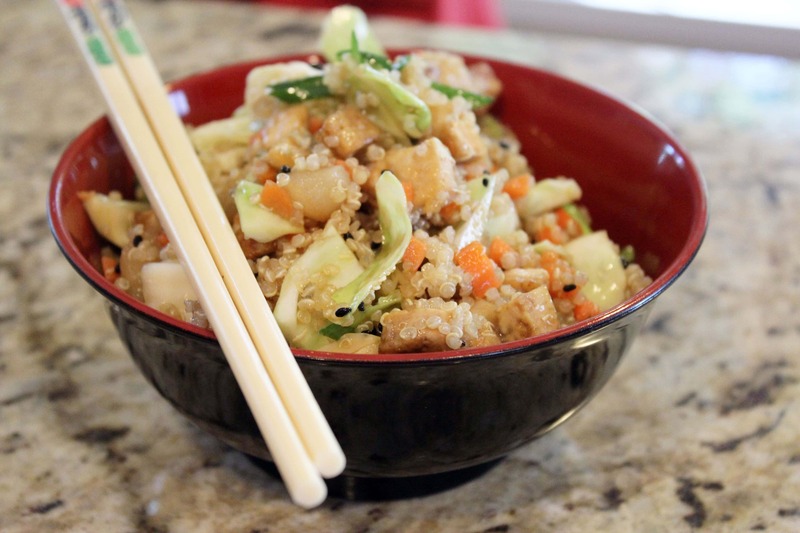 Asian-style quinoa with raw veggies and crispy tofu. I KNOW. It doesn’t sound contrived. It sounds just like….something I would already eat? That’s the point – not to fake out anyone, not to hide crap and call it meat when it’s really…not…but to eat real, fresh food that tastes GREAT and just happens to be vegan. At my last job, I worked in a town that had a ton of grody fast food options and an amazing Thai/Sushi restaurant. It was a miracle. It was delicious, and I ate there a lot. As part of any meal, a soup similar to this one was served almost as soon as you sat down in this lovely little refuge from fast foo. 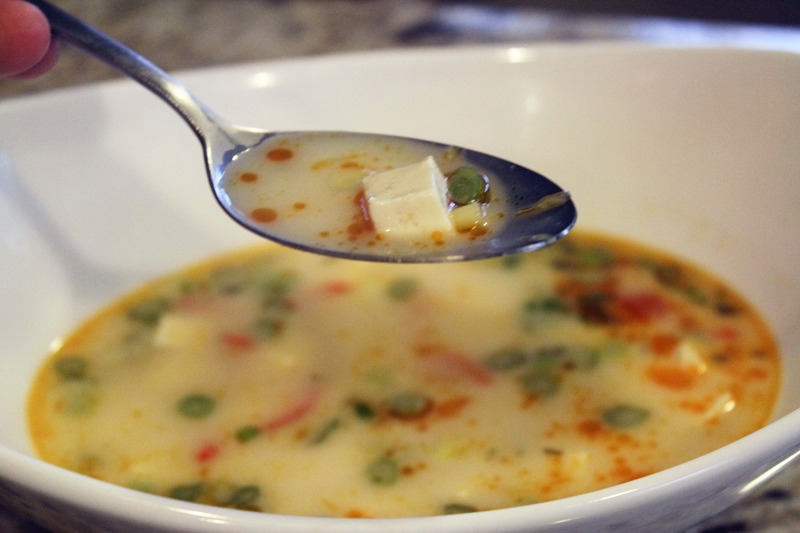 It was tangy, creamy, and had different vegetables in it every time you ate it. I made this version at home last week, and it was DELICIOUS. There are a few important ingredients often used in Thai cooking, like lemongrass and coconut but, for the most part, the ingredients are really simple! This only takes about 25 minutes, too. You’ll love it.